Android games are famous as Android mobile phones. There are number of Android games that have created the history and have got remarkable fame in gaming. When you’ll find out the list of top games in Android then you’ll have a massive names of games and I am sure that most of them would be racing games. There are too many racing games in Android, which can astonished you and may compel you to try those games at ones. The Racing games in Android gives you awesome experience and there are too many racing games in Android as mentioned above. Therefore, I have got the list of top Racing Games in Android that I would suggest you to try ones. If you are really fond of Android gaming and want to get the best Racing Games in Android. Below you may get the best racing games. CSR Racing is one of the most famous racing games in Android. It has many sizzling and awesome cars like; Audi R8, BMW M3 and Chevy Corvette. This game has many official licensed cars from the companies, Bentley, Mercedes, Ford, GM, Pagani, Nissan, McLaren and Mini. You can total customize your ride, you may add unique License plates for your cars, different tires and many other modifications can be done. 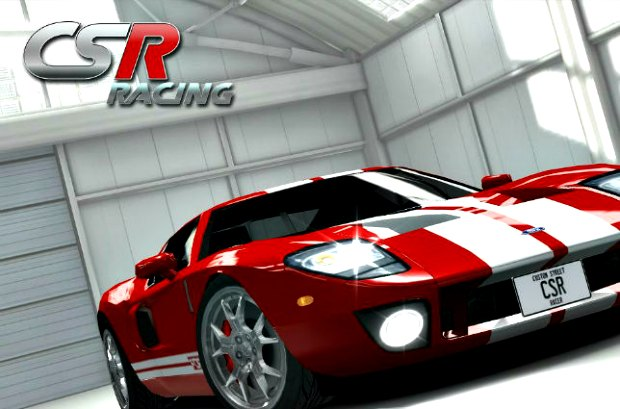 These awesome features and specification of this game has compelled us to put this game on the top of the list and that’s how it is the top racing game in Android. It has 4.5 rating stars in Google Play. This game can easily be downloaded from Google Play and I would suggest you to download this game and try it ones. Asphalt 8 is another best racing game in Android. It occupies the second position in our list. It is one of the best and free games from Gameloft. It gives you awesome driving experience with high-speed cars integrated in this game. 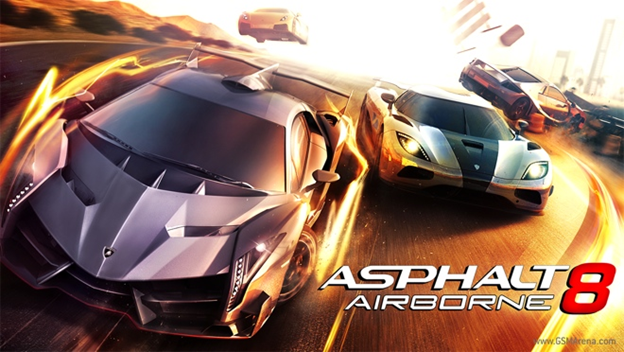 This game is designed for those who want to play the high-speed racing game Android. It has many more compatibilities with most awesome and great cars. Since, it is mentioned above that this game is a free game and it can be downloaded for free from Google Play. When we talk about the racing games, the Need for Speed is always been put on that list. So, we maintained the same trend. 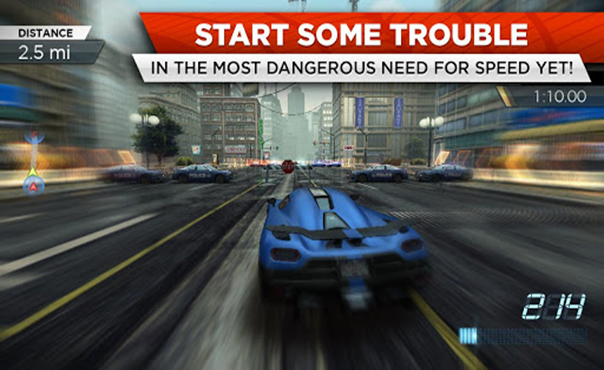 Need for Speed Most Wanted is one of the most famous racing games in Android. Need for Speed Most Wanted is really famous racing game and almost every gamer has played via different consoles and believe me that it offers same experience here on Android as well. It can be downloaded from Google play. Death Rally is combat-heavy racing game. It gives you the kind of death races, in which you are supposed to kill your competitors with guns attached to the cars. It is another famous racing game in Android. It sometimes gives you the experience of Battlefield. You may get this racing game from Google Play easily. 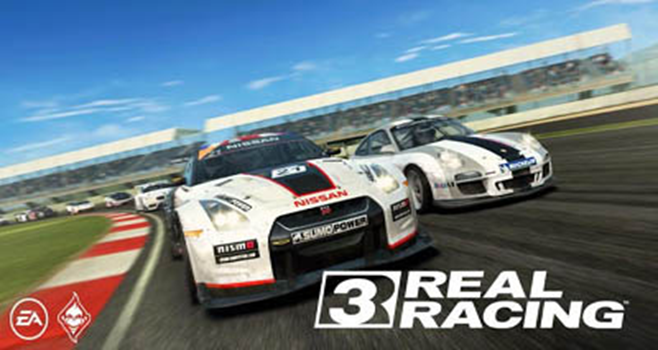 Real Racing 3 is another top racing game in Android, and that is how it has occupied the fifth position in our list. It has won many awards. It has officially licensed tracks and cars like; Ferrari, Porsche, Nissan, Mercedes Benz, Bugatti, Lamborghini and Audi. It allows you to race with anyone at any time. This awesome racing game can be downloaded from Google Play. 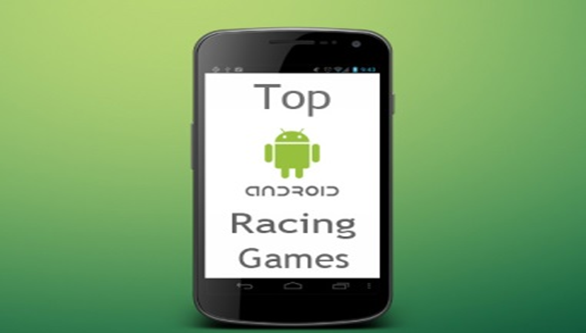 That was the list of top racing games in Android. I hope you have loved this list and will share this with your circle, if you have any of your views on this article, then you may lend your views in the comment box. I shall get back to you soon. Till than keep sharing my content with your friends and family. Your shares and likes mean a lot to us. Teamviewer is one of the most prominent desktop sharing software.It is an awesome software that allows you to operate the PC of your friend or colleague for teaching purposes. The existing of Teamviewer has made many improvements in the field of computers. It has allowed you to teach any of your friend, family member or student about operating of computer without going anywhere and without letting other to come into your home to learn such things. However, many Android users wanted to get this desktop sharing software for their Android devices as well. They wanted to operate and control their Android Devices right from their PC. 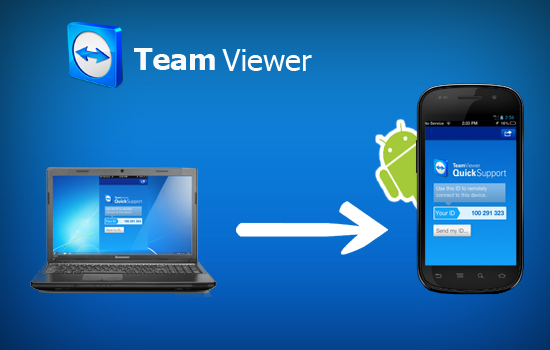 So, now keeping the need of Android user in mind, Teamviewer has given their Teamviewer app for android users, which is called Teamviewer Android. You all must be very much acquaint with the use of Teamviewer to control and operate different computers, but use of Teamviewer Android to control Android Devices must be a new and unique task for you guys. However, do not worry about it, I am here to teach you about such task. First of all you need to install a Teamviewer Android in your Android phone and Install Teamviewer in your computer as well. 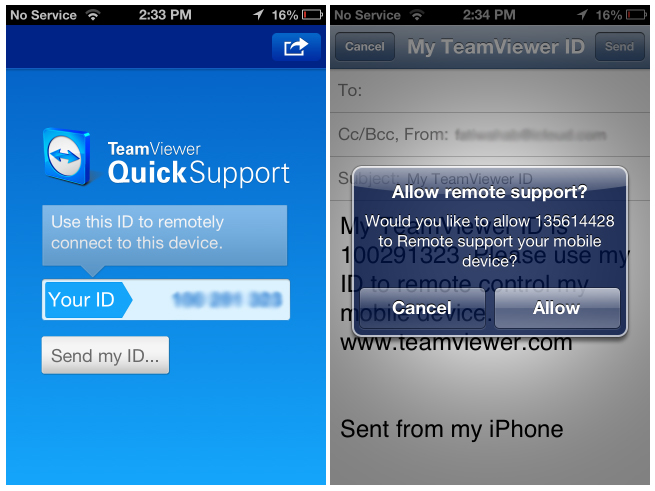 Now open Teamviewer Android in your Android phone and note down the ID that will be given on the opening screen of Teamviewer Android. Now open Teamviewer on your PC, and you’ll have a screen something like below. 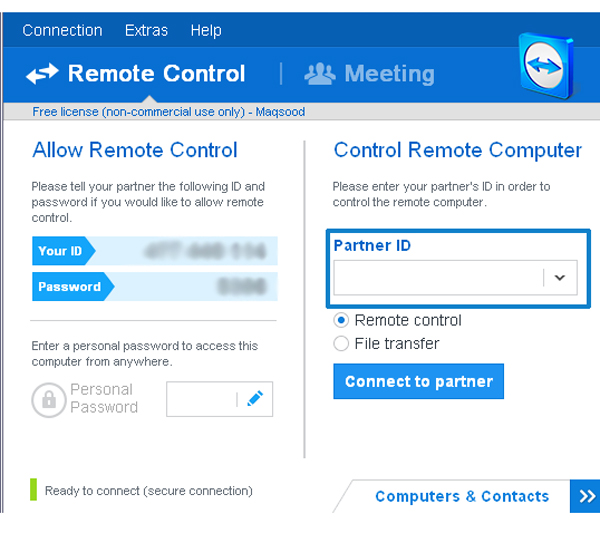 Now you are supposed to insert the ID (that you’ve noted from Teamviewer Android) in the box of Partner’s ID. Then it will send a confirmation message to the Android Device, and their you have to allow the permission for this desktop sharing. Afterwards, you can control the Android Devices right from your PC with the help of Teamviewer. The same process can be used to control the PC from Android but this can happen by adding the ID of computer’s teamviewer to the interface of Android Teamviewer. That was about the controlling your Android device by Teamviewer. I hope you’ll enjoy this kind of fun and a kind of soft hacking. You may threatened your friend by asking his Teamveiwer’s ID and applying the same method that is mentioned above. If you have any queries related to this article then you may lend your queries in the comment box. I shall get back to you as soon as possible. Additionally, if you have liked this tutorial then don’t forget to share this with your friends and circles. Your shares and likes means a lot to us. There are several ways to make money. The internet users always remain in the seek, to make money online and again there are too many ways to make money online. 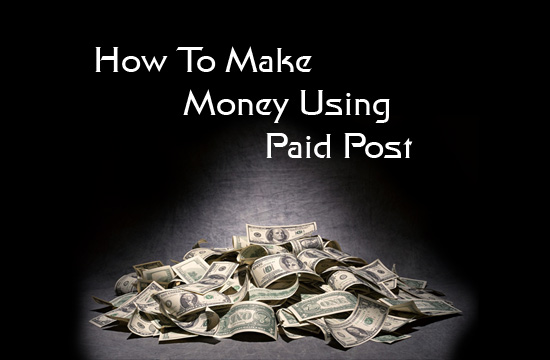 Today I am going to guide you that how to make money using Paid Post. I am going to share some awesome strategies to make money with the help of paid posts. However, before teaching you about to make money using paid post, I am going to give a brief information about Paid Posts. This question might be striking your head that what actually paid post is? So, let me explain it for you guys that Paid Post means anyone, any-company or any entrepreneur ask you to write about their products, services or skills in the substitute of money is called paid post. There are some things that need to be covered to make money with the help of Paid Posts, I have mentioned the all things that can let you to make money with paid posts. Firstly, you are supposed to find out the clients, who could give you paid posts to write on your blog and for that you may search. You should search; “Paid Review, Sponsored Reviews or Paid posts in the search bar”, this way can help you to find clients. This is the important that after find clients for paid post, you are supposed to discuss about the Payment with him/her. You are supposed to impress him/her by your work and I am sure ones your client is impressed from you, he/she will give you payment according to your choice. So, after finding clients, directly talk about the payment without getting shy, you are working for money, don’t feel shy while asking about money. When you’ll get client, you have discussed about the money, now, it is time to write a paid post. You need to writing something really classy, sophisticated, unique and appealing. You have to prove your skills into your first paid post. Remember the first paid post of your is like your interview, ones you have write something really classy, you’ll be recommended by your first clients and you’ll more paid posts that can help you to make money with these reviews. Follow these three tips, if you really want to make money with paid post. I am sure that these three tips will help you to make something really healthy amount for you. Paid Post is really an awesome to make money with. I am have shared the awesome way to make good amount with it. I hope this article has help you a lot and you’ll share this article with your friends. If you have any question or queries then you may lend them into the comment box. I shall get back to you as soon as possible. Blogging is one of the most sophisticated and sufficient way to make money online. Additionally, blogging based on content, and almost every professional bloggers keep on saying saying that in blogging, “Content is King”. Their that phrase indicates that the success in blogging, lies in the content quality. Now, here there are many misconceptions about content writing, the newbies are worried and badly want to know about the strategies for building blog content. Writing a quality content is not a harder job to do, you only have to work smarter and you are supposed to use your words wisely. Your blog will be able to receive traffic and reputation in the blog sphere and among your readers by the help of your content and therefore, it should lie on the phrase professionals that is mentioned above, “Content is King”. There are too many things that should be covered to write a real quality content on your blog. 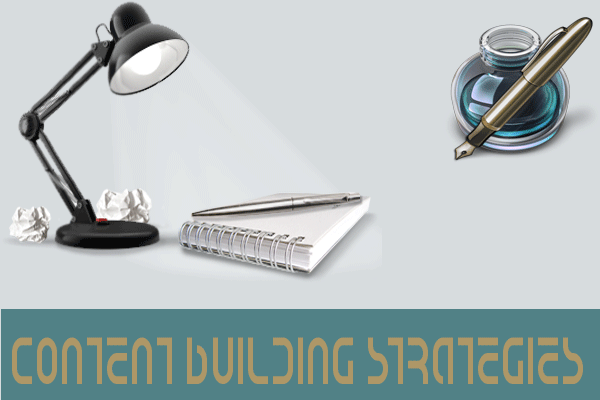 Therefore, today I have got the top strategies in building content. You may use these strategies to write your blog content and make it fit to the criteria of quality content. These are the simply tricks, there is nothing like rocket science in it. Apply these strategies and start ruling. There are certain strategies that should be know to every blogger. Remember one thing that these strategies are proven by the experts and it will bring a dramatic changes into your blogging career and writing. Windows Live Writer is desktop software which can be used for writing blogger content offline. This software allow you to work on your blog without going online, you can create your content here and publish it later. This is one of the awesome and famous content writing tool. Qumna is another software for writing content wight from your desktop. It has many features like, it works with technorati tagging, allow you to add images, can help you add advertisement to your posts. It gives you the HTML source of your post as well. There are many other content creation softwares that can be used for making your content of full quality and professionalism. There is always a right time to do a right thing, same thing happens here in blogging. There is a certain time to post your content for the users and for knowing that time you have to make little observation on your blog analytics. You should observe your blog for some days, and it may take your whole to observe that which is the prime time on your, prime time means the time on which your are receiving more and more traffic on your blog then according to your that status of traffic, you are supposed to play your card, means you are supposed to post your content on that time. Let me explain it more for you guys, For example; If I have a blog on which more traffic from 8 PM to 10 PM, then from 8PM to 10PM is the key time post article, and it will surely get into the notice of many and may more shares and likes. Google has suggested the ideal length of a quality content, according to the SEO, the quality content must be of 300 words minimum and should 1000 words maximum. I have said 1000 words maximum because if you’ll too big articles on your blog then it may bore your readers and slowly they may left reading your content. You are supposed to write the medium one articles, nor too small neither too big, always keep it in medium. If you are writing the words less then 300, then your content may get penalized by the Google. So, always write minimum 300 words. A post of 300 words is more is considered as the quality and standardize post. Blogosphere monitoring for guest blogs, means keep an eye on the guest blogs, that what they are talking about, publishing about and spreading about. Remember from the guest blogs who are much famous than yours can give your really awesome ideas for publishing the new content on your blog, this is one of the most great strategy in building blog content that almost pro bloggers use. Writing content on the old and useless issues is simply the waste of your time and energy. If you really want to get success in blogging and want to write quality content then you are supposed write the most trendy topics that are in news, or, I would say you to write about the current updates into your related topics. Do not waste your time energy in writing about the old stories, nobody is interested in reading out the old crap. Give the complete to the new updates and feel like a professional reporter to maintain the quality on your channel in the form of your blog or website. You may use the monitoring tools for social medias. There are number of monitoring tools which you may use to monitor your progress on social media sites. It helps to improve your skills in particular areas and allow you to work for them. I have get an example of one social media monitoring tool that is named as HootSuite. HootSuite is one of the best social media monitoring and management tool. It covers multiple social media sites like; Facebook, Twitter, Linkedin, WordPress, Google+ and Foursquare. Title is the main part of the content, it is the part which attracts the reader to read the article, if you have not written the catchy article then it will not grab a single reader to its self. You are supposed to write a SEO friendly template. It should be neither too big nor too small. The standard length of the title should be 70 characters, this length is suggested by Google it self. When you’ll something that really worth, then you are supposed to beautify it, by adding related videos and images. Sometimes using of images and videos are not for beautification of the content but, it can be used to guide the users about your content. You may use the video of tutorials and related images. One more important thing is that, Google loves images in the content, and it considered that content as a quality one, so, you should add at least one images and sometimes one video as well, in your content. That was the great strategies in building content, these will really help you to rank you content. If you have any query related to content building strategies then you are allowed to leave your queries in the comment box, I shall get back to you as soon as possible. Search Engine Optimization (SEO) is considered as the key aspect, to get success in the blog sphere. If you want to do serious blogging and want that your blog should be ranked, then you are supposed to do SEO on your blog. SEO can help you to grab traffic, it can help you to rank in the search engines, it can help you to build a reputation, Page-Rank and many other useful aspects related to your blog. There are too many things that put, directly and indirectly impact on SEO and today we are going to discuss some of these impacts. You’ll come to know about the impact of Plugins, Themes and Graphics on SEO. These impacts are clearly elaborated below with simple tutorial and and with great accuracy, to make you guys acquaint with these impacts. There are certain impacts of plugins for SEO. Since, plugins are mostly used on WordPress platform, bloggers whose blogs are at WordPress are supposed to use these plugins anyway. There are both positive and negative impacts of plugins over SEO. As we know that in blogging, doing over SEO can ruin your blog. Besides, plugins are very much important here on WordPress. There are a certain number of Plugins for the SEO that can impact your blog. The experts suggest that the bloggers should use a few plugins to optimize their site, if you’ll use too many and unwanted plugins that they will definitely put a negative and unhealthy impact on the SEO of your blog. Below I have listed the Plugins that put both positive and negative impact over your SEO. I have listed some best plugins for SEO and these plugins will help him to make your blog rock in the blog-sphere. The list of the plugins that are given below, are completely tested and suggested by the experts. So, don’t you worry while trying them on your blog. The best with little descriptions can be read below. This is the awesome WordPress plugins that can be very much helpful to monitor and optimize the all sections of your site that come under the SEO. This awesome plugin is developed by SEO consultant and WordPress developer Joost do Valk. It especially focuses on keywords by suggesting you the most precise keywords for your content. This plugin works, as it name, All In One SEO Pack. This plugins almost take care of everything about blog’s SEO. This plugin is friendly and usable for: keywords, meta descriptions, tags, Permalink and other things related to SEO. Images can be helpful to rank your content and for that you are supposed to post the SEO friendly images. SEO Friendly Images plugin helps you to optimize the images on your blog, including your content. You may use this plugin and it will put some appealing and awesome impact on your blog and its SEO. Along with the best plugins, there are number of worst plugins that put a negative impact on the SEO of your blog. Simply, these plugins can ruin your blog completely. The names of these plugins are mentioned below, you may read them and avoid them. The above two are the worst plugins that can put a complete negative and unhealthy impact over the SEO of your site. Therefore, i would suggest you to avoid these plugins and never ever apply these plugins on your blog. Most newbies think that themes are only for appearance, but actually it is not like that at all. Themes are one of the important things that can directly put impact on SEO. So, here I am going to discuss the themes for SEO. This thing proves that there are themes that are SEO friendly, along with the non-friendly themes. The friendly themes can put positive impact on SEO of your blog, whereas the non-friendly themes can put the negative on the SEO of your blog. The friendly themes have a positive impact on SEO of your blog. They are friendly and professionally coded, the design are eye-catching and optimized. It gives the SEO friendly results of your content on the search engines. That things and features justify that these are Themes for SEO. The Non-friendly Themes have thoroughly negative impact over the SEO of your blog. They are unfriendly coded, they have messed up layout, extra and useless scripts that makes your site load slower and put an unhealthy impacts. Due to these unfriendly themes your content could not rank in the search engines, as they are completely filled with effected and useless scripts. Like the other factors, Graphics also impact on the SEO of the blog. Graphics can be used to design your site more eye-catching, appealing and unique. Bloggers are supposed to use the graphics with great care, as usage of too many graphics can slow down your site and indirectly it will impact the SEO of your blog, that will not be in your favor at all. If you are using too much designing images on your blog, using too much jquery for widget to make your site full graphics and animations then believe me that you are ruining your site or blog badly. Graphics for SEO or I would say Graphics for optimization, don’t need lots of animation, heavy images, over load scripted widgets; you only need to make it simpler, lighter and friendlier. You can use graphics to make your site friendly by keeping the ratio of the graphics smaller. Don’t overuse the graphics. Now, it is time to sum up the complete article. Above the both positive and negative impacts of plugins, Themes and Graphics on SEO are mentioned. I hope this article has cleared many of your queries related to the impacts that are mentioned above. If you have still any doubts regarding this article then you may leave your query in the comment box, I shall get back to you as soon as possible. Additionally, if you have liked this article, then don’t forget to share this with your circle, just to praise our work for your convenience.